We Miss Red Radish on Tour! Cirque du Soleil are now back on tour after 6 seeks off. We are with Dralion in Qatar for another week and then off to an arena in Lebanon. I just wanted to drop a few lines just to let you know that everyone at Cirque du Soleil misses you guys and the Red Radish catering on tour! I’m so anxious to see you all back in Athens in a couple of weeks and can’t wait to eat your delicious food again! Hope all is good on your guys side as well! Looking forward to seeing you soon and getting back to some great catering! Give my love to the team! 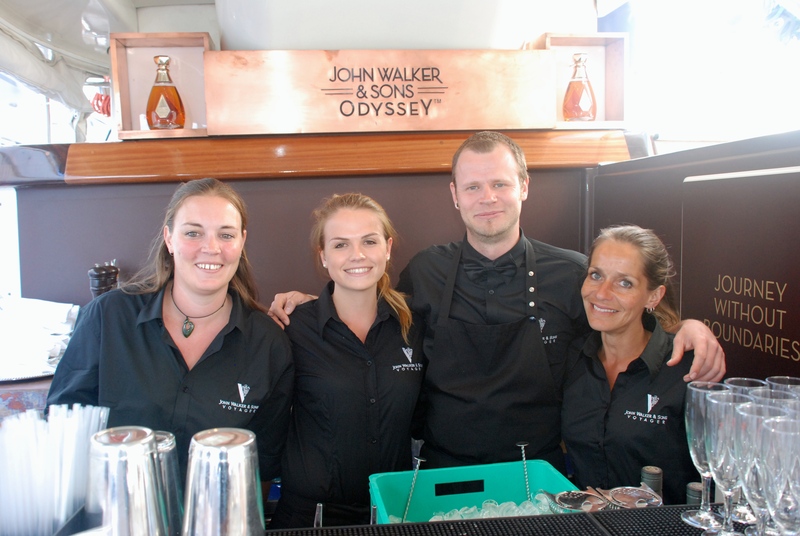 Another satisfied customer; this time from a balcony catering event at the Monaco Grand Prix. The client was looking for an English speaking Catering company (we speak French too by the way!) on the French Riviera who could help them create the perfect party for their guests. Red Radish sent along a private chef and hostesses who did just that! I just wanted to thank you and your team for a great weekend, your girls were great and tendered to our every needs. I look forward to using your services again and for us you are now highly recommended for any event. Second to None Crew and Cast Catering – The Best we have ever used! Red Radish provided my crew and cast catering on the feature film “Dom Hemingway” and craft services on high-end photo-shoots for Balmain and Isabel Marant’s Spring/Summer 2013 campaigns. 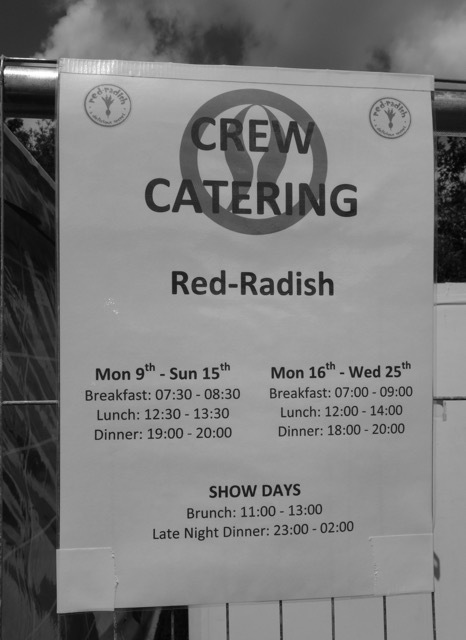 Each production presented us with extremely difficult logistical challenges, but the Red Radish team stepped up to the plate (pun intended) on each occasion. Their attitude, flexibility and professionalism is second to none and their food is consistently appreciated by all palates.